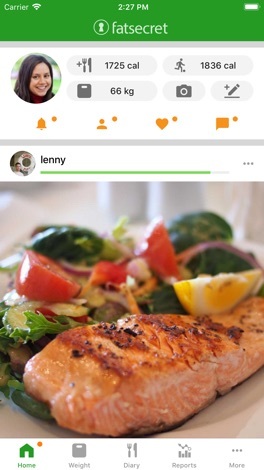 The app is customized for US foods and brands. Keep track of your food, exercise and weight, using the world's highest quality food and nutrition database and connect with a global community of people looking to make a change for the better and start losing weight and achieve your goals the healthy way. The app is available on Apple Watch and supports terrific Complications for your watch faces. 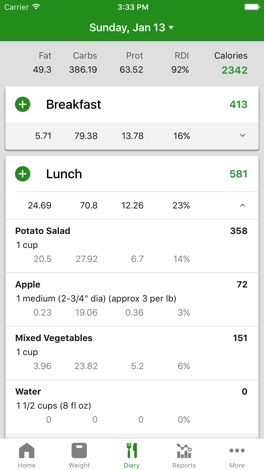 - An easy to use food diary to plan and keep track of what you're eating. - A wonderful community that's ready to provide support and turbo charge your weight loss. 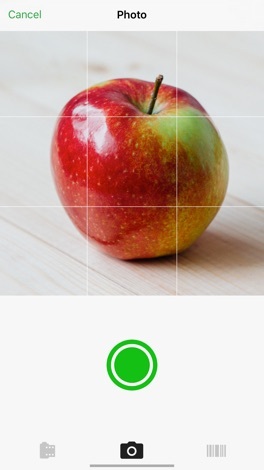 - Image recognition of foods, meals and products so you can take photos with the camera and track nutrition with pictures. - A barcode scanner and auto-complete functions. 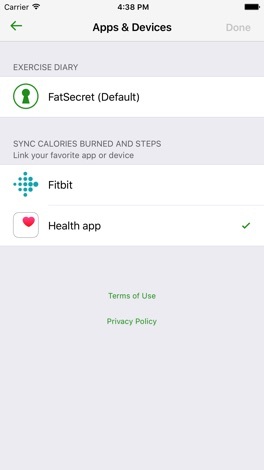 - Health app, and Fitbit exercise tracking integration. - Detailed reporting and goals for all your calories and macros. - Reminders for meals, weigh-ins and journals. - Notifications for support, comments and followers. - Sharing and interacting with your professional of choice. - Facebook and Google login. The app syncs with FatSecret Professional, the most convenient way to share your food, exercise and weight with your preferred health professional. Your health professional will get free access to simple and powerful tools to monitor your performance and provide you with feedback, advice and support. Payment will be charged through your iTunes account at confirmation of purchase. Subscription renews automatically unless cancelled at least 24 hours prior to the end of the subscription period at the same price and subscription type you previously purchased. Subscriptions can be managed through your iTunes account after purchase. It is not possible to refund or cancel a subscription during the period. We hope you'll love Calorie Counter by FatSecret. We are constantly working to improve the app and welcome user feedback.